Acupuncture can be effective for pain relating to a medical condition, the ageing process, surgery or an injury. 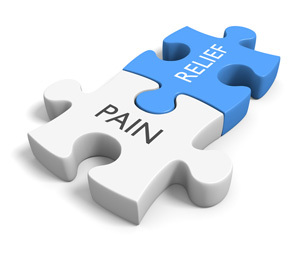 It can be safely administered alongside medication and due to the natural pain relieving effect, some patients find they are able to reduce their medication. I had been having problems with a knee injury since October 2017, and felt messed around by the NHS as to what was the actual diagnosis. I was in a lot of pain, and struggling to walk, until my friend suggested acupuncture, as it had worked for her in the past. I was recommended to try Louise at Valley Acupuncture, and see how it went. I had been sceptical at first as I have tried one of the national chains in the past, without success. I can now go out for long walks, but couldn’t manage ¼ of a mile before seeing Louise. I also mentioned the back pain I had been having for years and Louise worked on this at the same time, along with a shoulder injury. After being sceptical, I cannot believe the difference Louise has made to my life, as I can now do many of the things I used to do. The pain is much more manageable now and I recommend people with injuries, go to see Louise, as I am confident she will be able to help them too. After years of trying various medications for chronic headaches I feel acupuncture is the only treatment that really works. Over several treatments the bursitis in my hip has been alleviated. I had suffered with pain for a considerable time and now have a much better quality of life as a result.